So I scrounged the fridge and cabinets and came up with a little salad. 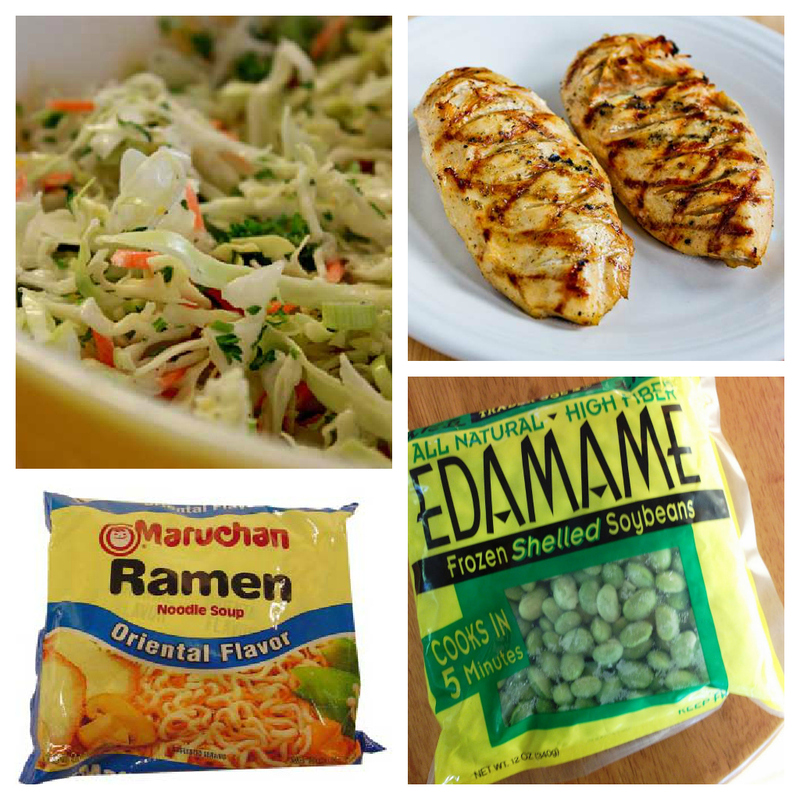 I combined bagged coleslaw, uncooked ramen noodles (that may have been from circa 2010) and edamame, mixed with a modified version of the dressing for this recipe and threw grilled chicken and toasted sesame seeds on top. It was remarkably good and super fast to throw together. This entry was posted in Uncategorized on 07.30.12 by awastell.